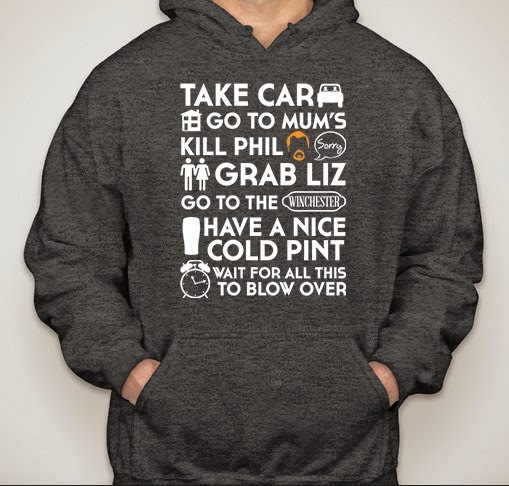 I think I've had something on my list every year having to do with Shaun of the Dead or zombies :) This year I saw this hoodie a few weeks ago. I would love to rock this in a small, I think (since they're unisex hoodies), in the Dark Heather color ($29.99). What do you think? And more importantly, have you seen the movie so you understand the references? If not, please do. You won't be sorry.